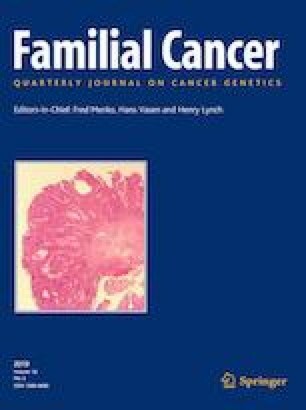 The inclusion of polygenic risk scores in breast cancer risk prediction models provides a more personalised and accurate prediction of breast cancer risk for women with and without breast cancer, who would otherwise receive negative results from traditional testing of moderate- and high-risk genes. This study aimed to develop, and pilot test a leaflet with a sample of women participating in a large prospective cohort study. The leaflet aimed to provide information about polygenic risk to assist women to decide whether or not to learn results from genomic testing for common risk variants associated with breast cancer risk. A prototype of the leaflet was developed based on published literature and with the expertise from a multidisciplinary team. The acceptability of the leaflet was assessed by self-report questionnaire among 29 women participating in the prospective cohort study. More than 80% participants stated that the leaflet was clear, informative and easy to understand and increased their understanding of polygenic risk information. While low to moderate levels of distress/worry were reported around implications of the test results for the next generation, 71% felt reassured and agreed that the information provided in the leaflet had helped them cope. Pilot-test results indicate the leaflet is acceptable to the participants and the revised leaflet can be used as an information tool for women undergoing genomic testing. This educational leaflet will become a useful information source to meet the information needs of women undergoing genomic testing. We would like to thank all the ViP participants, who agreed to take part in this study and for their ongoing participation in the study. The Variants in Practice study was supported by a National Medical and Research Council (NHMRC) Grant (ID 1023698). Bettina Meiser was supported by an NHMRC Senior Research Fellowship Grant (ID 1078523) and Tatiane Yanes was supported by an NHMRC and National Breast Cancer Foundation postgraduate scholarship during the duration of the study.